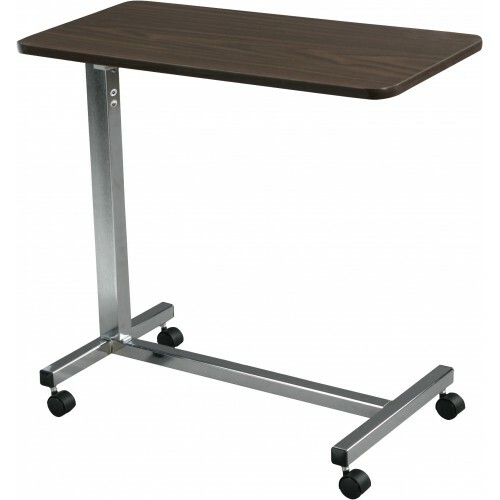 The EZee Life overbed table is an adjustable height table that will allow users to easily do activities that would otherwise be difficult to do in bed. This table is available with an attractive walnut finish on the top. Overbed tables can be used with both conventional beds and hospital style beds provided there is space beneath the bed for the base of the table. Box Dimensions 31" x 6.25" x 16.25"
Warranty is valid for the original purchaser only and the original receipt must be presented before any warranty options are considered. Please also be prepared to provide the date of purchase and serial number (if applicable).